Etherium Black is classified as a non-herbal adaptogen. An adaptogen is a substance that returns the body to its normal state (homeostasis) after an environmental disruption and improves the body’s resistance to stress and occasional fatigue. Etherium Black is capable of detecting electromagnetic imbalances within any organism and neutralizing the waves and particles causing disturbance. It is equally effective with thoughts, emotions, and physical imbalances. Etherium Black comes from naturally occurring trace minerals in the Etherium deposit. It is the antithesis of Etherium Gold. Black is "unmanifest" and "uncreation", whereas Gold is "manifest" and "creation". The effect of these two together is awesome! Etherium Black is a second favorite to Etherium Gold with customers. Black and Gold potentize each other because they come from contrasting focal points, working in opposite ways to create the same effect. Basically they come together to create even more powerful effects than if taken individually. One example of how this works is in the area of creativity and focus.Etherium Black clears away interfering thoughts & Etherium Gold harmonizes brain waves. Mentally and spiritually, Etherium Black calms mind and spirit, relieves stress, and brings a sense of peace and serenity. It can be the perfect complement to Etherium Gold in meditation. While Etherium Gold can assist in reaching deep states, often mental clatter still interferes with 100% pure focus; Etherium Black can remove the clutter—making meditations more profound. 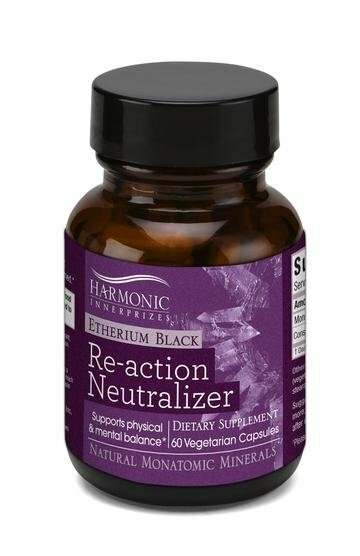 Etherium Black can bring emotions into balance in a matter of minutes. Should you find yourself emotionally upset; be it anger, sadness, fear, Etherium Black will clear the inharmonious energies and assist you in finding your center. It is truly amazing how quickly and effectively it works. The Etherium Black and Etherium Gold combination in these instances is especially beneficial. In addition, Etherium Black benefits your respiratory and immune systems, including relief from seasonal allergies.† The electromagnetic response of substances such as Etherium Black provide immediate results, compared to biochemical substances which require a chemical reaction. Many have experienced Etherium Black benefits from its ability to help them feel better after a night out on the town. Is the alcohol actually removed from the blood when taking Etherium Black? No, definitely not. If you have consumed alcohol, never assume it is safe to drive because you may have taken 2 capsules of Etherium Black. It is not, but it will promote a feeling of wellness the next morning. While the biomechanical pathways are not known, it appears that the energy of Etherium Black neutralizes these poisons rather than removes them from the body through a detoxifying action. † These statements have not been evaluated by the U.S. Food and Drug Administration (FDA) or EnergeticNutrition.com. 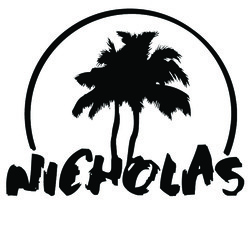 This product is not intended to diagnose, treat, cure or prevent any disease.The information provided on this site is for informational purposes only and is not intended as a substitute for advice from your physician or other health care professional or any information contained on or in any product label or packaging. You should not use the information on this site for diagnosis or treatment of any health problem or for prescription of any medication or other treatment. You should consult with a health care professional before starting any diet, exercise or supplementation program, before taking any medication, or if you have or suspect you might have a health problem, or are pregnant. When you receive an item, carefully read all labels, warnings, and directions before use. Actual product packaging and materials may contain more and/or different information than shown on this website.